Grasses, brassicas, legumes – oh my! With so many cover crop species to choose from, how does one decide? To help identify what cover crop species are being used across the state, we asked our 2017 field day attendees. Responses to our 2017 Field Day Evaluation Report are similar to our conclusions of what works best in our cover crop species research projects. Grasses are the best choice of cover crops for a corn/soybean system. Cereal rye was the mostly widely used species, with 85% respondents listing it as what they seeded in 2017. Reported brassica and legume usage is down overall compared to 2016 data. These cover crop species are relatively inexpensive, readily available and easy to establish. Oats will winter kill whereas cereal rye is winter hardy and requires spring termination. That is why we recommend using it before soybeans to provide the best opportunity for first time cover croppers to learn how to manage the cereal rye and minimize negative yield impacts. According to the Iowa Learning Farms 2017 Field Day Evaluation Report, Iowa cover crop acres grew last year by approximately 22% to 760,000 total acres. While the positive growth with shrinking profit margins is notable, the rate of growth is ten percent less than the growth measured in 2016, and still well below the goal of 12.5 million acres of cover crops called for in Iowa’s Nutrient Reduction Strategy. Many of the new acres were planted by experienced cover crop farmers. The majority (69%) of respondents to Iowa Learning Farms’ year-end evaluation questionnaire started seeding cover crops at least three years ago. Only eleven percent of respondents reported implementing cover crops for the first time on their land last year. Those respondents with cover crops reported an average of 46% of their total row crop acres in cover crops—6% more than in 2016. The overall percentage of farmers who are using cost share to seed cover crop acres has increased by seven percent over four years of Iowa Learning Farms evaluation data. Of the respondents seeding cover crops in 2017, 65% of them did so with the assistance of cost share. Iowa Learning Farms sponsored 29 conservation field days and workshops in 2017 on cover crops, strip-tillage, saturated buffers, prairie strips and more. These events drew an attendance of 1,280 people, primarily farmers and landowners (89%). Twenty-seven percent of Iowa Learning Farms field day attendees were female. In January 2018, 580 farmers and landowners who attended Iowa Learning Farms field days were mailed an evaluation questionnaire to investigate whether they made changes to their farming practices. In a one-month period, 251 evaluation questionnaires were returned for a 42% response rate. 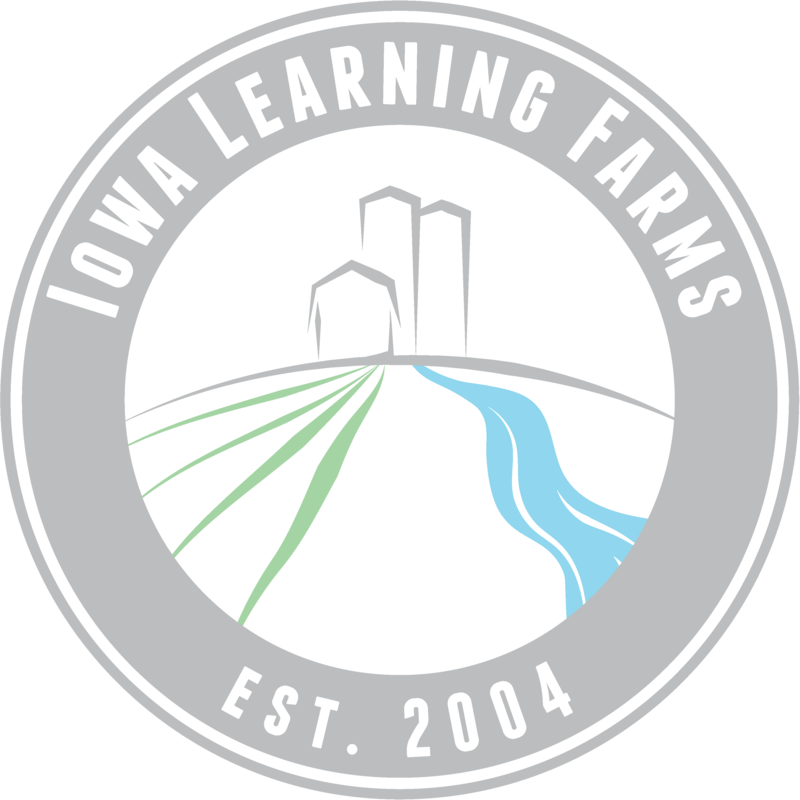 The Iowa Learning Farms 2017 Field Day Evaluation Report can be found at www.iowalearningfarms.org. Established in 2004, Iowa Learning Farms is building a Culture of Conservation by encouraging adoption of conservation practices. Farmers, researchers and team members are working together to identify and implement the best management practices that improve water quality and soil health while remaining profitable. Partners of Iowa Learning Farms include the Iowa Department of Agriculture and Land Stewardship, Iowa State University Extension and Outreach, Leopold Center for Sustainable Agriculture, Iowa Natural Resources Conservation Service, and Iowa Department of Natural Resources (USEPA section 319).